Time flies like air and so have been the last five months of my life in this amazing and beautiful country called The United States of America. On April 6, 2015, when I reached Chhatrapati Shivaji International Airport, Mumbai to board the flight to New York, I was very much scared about my new life... how it will turn out to be... ? I was leaving my closest buddies, my family, my independence and most important, Aamchi, Mumbai -- the city which made me stronger from within to face the world and live my dreams. I was going to leave all the precious memories for a new beginning, with tagline as "Wife" and societal responsibilities assigned to it. I wasn't sure whether my decision will be right or will have to regret in future...? After staying in Mumbai for almost five years of my life, was not really sure how my life will be in different part of the world, in another continent. The scary thought of whether I would be able to survive there or miss my country, my folks -- these thoughts kept troubling me throughout my flight for sixteen hours and more. After living here in Florida for last five months, I would like to put my experience to words and share it with the world of Internet. Well, trust me, last five months have been a roller coaster ride in my life that has presented me with tremendous learning opportunities and a perfect vacation anyone can ever dream about... I have been able to explore myself with learning small things on a daily basis. No one is born perfect but it is the experience that gives you knowledge and Wisdom. In Mumbai, I had three maids for all my domestic chores -- one for washing my clothes, one for cooking my daily meals and the last one being my housemaid. Come Florida and I have been doing everything by myself... The whimsical part of the story is I didn't know how to cook or use a washing machine or vacuum cleaner as I never had the need to learn. But after coming to the U.S., the first thing I learned was "How to use dish washer?" courtesy of YouTube and similarly the vacuum cleaner, washer and dryer and yeah... using baking oven and toaster too. However if you think it is too much, not really. Thanks to the modern amenities installed in the houses here, you just have to press buttons to accomplish most of the domestic tasks... so life is easy... and also don't have to rely on maids and listen to their tantrums. 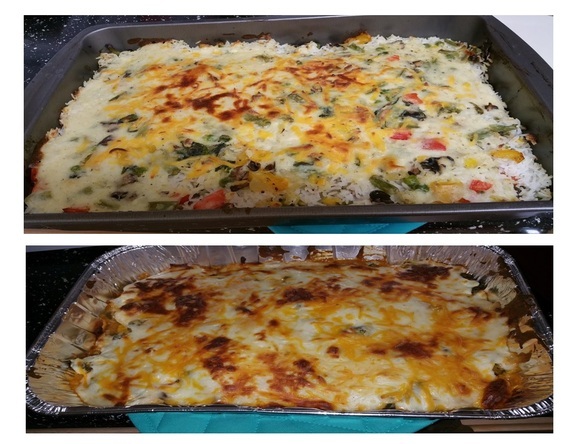 Thanks to Coursera, have been learning different cuisines like Mexican, Italian and French... I have tried recipes like Mexican Bowl, Lasagna, Baked Vegetables, Burritos, Falafel, Fajitas and Guacamole, Velvet Cake, Pan Cake to name a few. Well I think it's little difficult to cook Indian food with accurate proportions of spices and salts but learning different cuisines is really a fun to explore. Being a beginner if I can cook, then am sure anybody can cook! 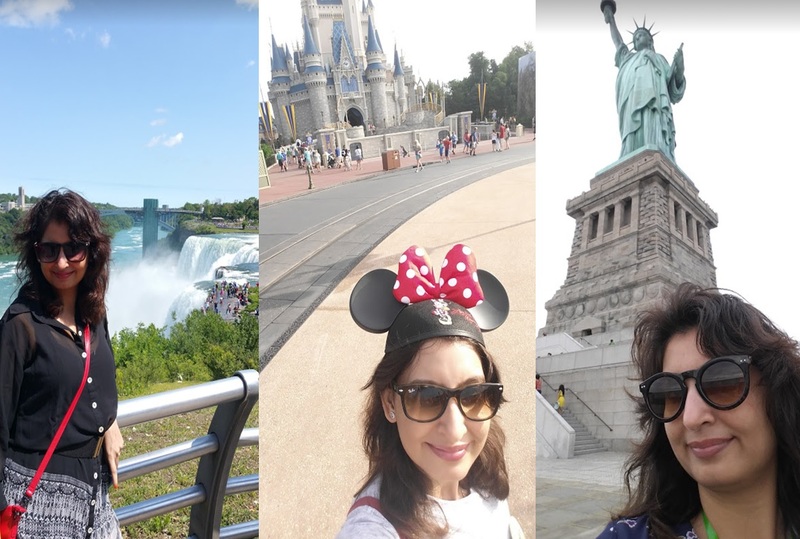 In the last five months, have seen the sun, the sand and the beeches of exotic Miami to the majestic Niagara Falls and re-lived my childhood at the Disney's and Universal theme Parks, Orlando< where all childhood fantasies and tales comes true. I have visited New York on the Independence Day weekend and have to say it is the world's greatest city or rightly referred as,"It's not a city but a world itself!" My last visit was to St. Augustine, the oldest city in United States on Labor Day weekend. I have completed my favorite TV series Friends How I met your Mother and The Big Bang Theory in past five months and watched a few of the legendary movies of Hollywood like Breakfast at Tiffany's, An Affair to Remember, Sleepless in Seattle,Star Wars, Monalisa Smile, The Others, Sixth Sense, Shakespeare in love,Roman Holiday,Scent of a Woman and The Godfather to name a few. Though I am huge fan of typical Bollywood movies, these last five months has helped me to develop a new taste for Hollywood movies. Looking back at my life in Mumbai, I feel that it was mechanical where my objective being Work hard on weekdays and party harder on weekends. I had my personal gym instructor, hair-dresser, beauty-technician and dry-cleaner who used to know me and understood my expectations from them. However here nobody knows me and they don't judge me based on the clothes I wear or the way I carry myself. I don't know many people in my community but whenever I go for a walk around lake or sitting near pool, I get overwhelmed by the gestures of people around here. I have learned to smile from heart and wave to strangers which I have never ever done in my India before. 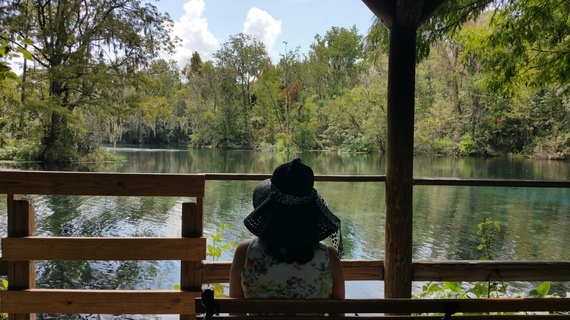 I am learning to enjoy little things in life as just sitting around lake and feeding ducks or driving to a beach and catching sunset or meeting new faces around and listening to their stories. Though I have not been working for the past five months but I feel very much independent and skilled than before. I have explored new horizons for myself and learned about doing little things that makes me happy. I feel myself free from the shallow streams of worldly possessions of this materialistic world. I feel confident in doing things alone for which I was always dependent on someone. I don't need a gym instructor to help me with my work-out. I can do my grocery shopping on my own and can differentiate between Green Pepper, Zucchini, Luffa, Alfalfa, Rutabaga, etc. 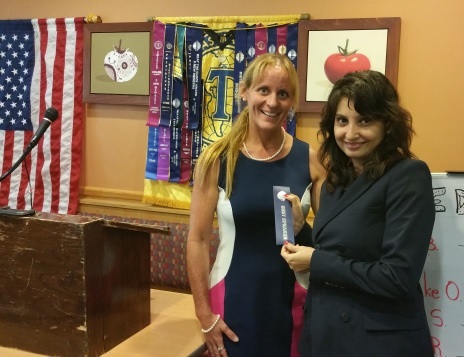 Recently I also gave my first Toastmasters International speech in U.S. and got the best speaker award. Though have got many awards in my earlier Toastmasters Club in India but this was very special as it feels great to represent my country and be recognized for the efforts.